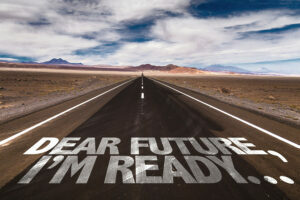 Self-confidence hypnosis is about upgrading your core beliefs about yourself to become more effective in life. Each of us decides as children how we compare to others in intelligence, likeability, attractiveness, strength, personal power, sports skills, popularity, confidence and many other attributes. 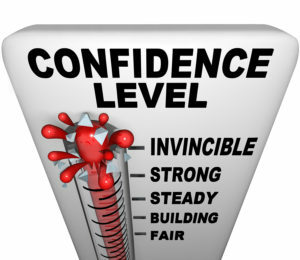 This becomes our self-confidence index. We believe we are how we think we are as if it were fact. Then we act as if this made-up belief is true. We then set out to prove we are as confident, smart, attractive or whatever that we think we are. Either you let a 1-7 year old version of you who made these assumptions run your life, or you use hypnosis and self-hypnosis to take control and redesign your life. Can’t you ever do anything right? You don’t know what you are doing? Why can’t you act your age? Hear these phrases or variations a few hundred times and it is no wonder that many people grow up with little confidence in themselves. They have literally been hypnotized out of it by their parents and peers. Hypnotic coaching reverses this effect by focusing the client on the positive aspects of his or her life. 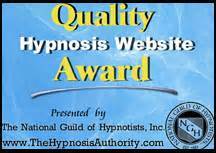 We hypnotize them to think that they are competent and that they can do anything to which they truly put their mind. How high you want to go in self-confidence, in re-building yourself, is up to you. But it begins with at least believing that you may be better than you have been thinking you are. Are you willing to invest in a couple of hypnosis and hypnotic coaching sessions to find out? Call 401-374-1890 or fill out the online intake form and we can work on building a new you together.